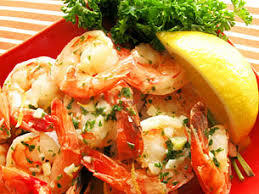 Including shrimp into your CKD diet is a great way to get very lean, good quality protein in your diet. Not only is it naturally low in saturated fat and calories, it is a great source of selenium, vitamin D and omega-3 fatty acids (great for the heart!). In a saute pan, melt butter over medium heat. Add in shallots and cook until soft. Add in shrimp and cook until done. Approx. 5-7 minutes. Add juice from ½ lemon, parsley, basil, and lemon peel. Stir until hot. Mary Payne, MS, RD, LD on What’s The Deal With Protein and Kidneys? KidneyChef on What’s The Deal With Protein and Kidneys?